The strong operation of cold front began impacting to the weather condition of the central provinces from Quang Binh to Thua Thien- Hue on November 9, reported the National Hydrology Meteorology Forecast Center this morning. Because of the influence of the cold air, the northeasterly winds strengthened up to level 2-3 causing small- medium rains in the Gulf of Tonkin. By tonight, the northern provinces will continue mostly experiencing the cold spell and small- medium rains with the lowest temperature at 14- 16 degrees Celsius in the northern delta region and 9- 12 degrees Celsius in the mountainous areas. The northeast monsoon is forecast to maintain at level 6- 8 in the Gulf of Tonkin, even up to level 8- 9 in the northern territorial water of the East Sea, 2- 4 meters big wave and sea rough. Medium- heavy rains and thunderstorms are the weather phenomenon in the northern central provinces from Thanh Hoa to Binh Dinh. 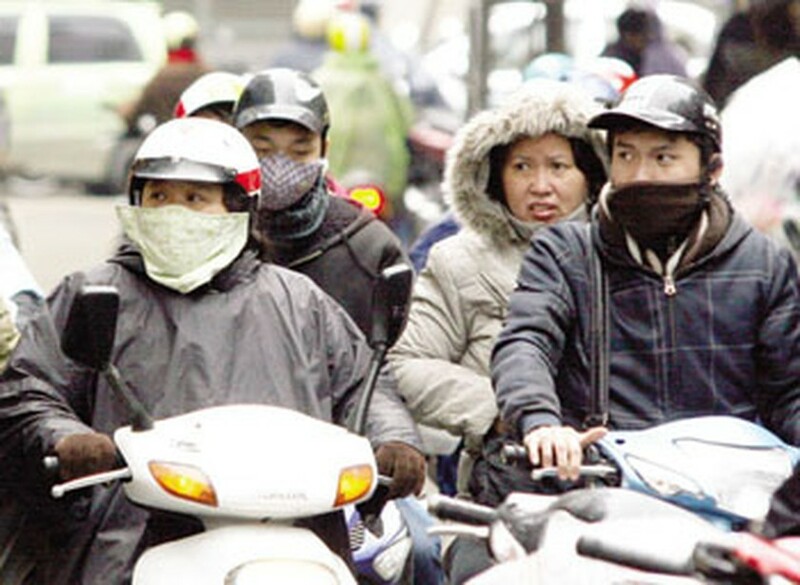 The rainy and cold weather covers Hanoi city with its daytime temperature at 14- 16 degrees Celsius.